The next level of success you are looking for is not in your words, it’s in your voice. The work I do is not just “voice lessons” it’s internal and external transformation. I’ll change your voice but I’ll free you from the story around your voice and that’s what sets Psychology of the Voice work apart. Your Voice is the most important part of every conversation, presentation, webinar, interview, conference call, networking…everything. We determine EVERYTHING about you from your voice. What are we determining about you? Do we hear confidence, authority, leader? Do you have all eyes on you when you speak? Do you take us on a voice journey and touch us on a deep emotional level? If not, we need to change that. For over 28 years I’ve taught individuals how to transform their business and personal lives by rewriting their Psychology of the Voice story, getting rid of the bad voice habits that are keeping them locked, unable to get to the next level. If you work with me the result is that you start speaking with confidence, commanding the room, controlling the conversation, getting what you want! We change your voice step by step but we transform your life in the process. I changed my voice story, I would be honored to help you change yours. My usual recommendation is that people work with me for 8 weeks. When you work with me privately, you commit yourself to 8 1-1 sessions. In those sessions, I teach you the very technique you specifically need to get rid of the bad voice habits that you’ve put in place and replace them voice habits that will get you to the next level in your business and personal life. I recommend the sessions are done consecutively for maximum success. After each session, I will write up custom homework for you and send it over along with an audio and video recording of your sessions. Mid-week in between sessions we can in via video so I can hear how you are doing and you get full email support throughout our time together. This program is custom tailored to your voice needs including voice on video and podcast. If you are looking to work in a small group program, I’ve got one of those as well. An incredible group program that is 8 weeks long and limited to 6 participants. Each week we meet live via Zoom for trainings sessions that are directed to your individual needs. Audio/Video Recording of the sessions. Homework that can be delivered in a Facebook group for additional feedback and coaching. 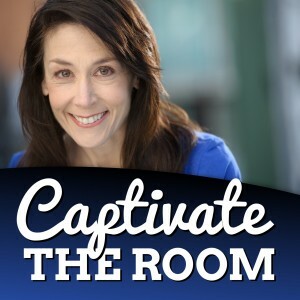 If you’d like to discuss working together on your voice, email tracy@captivatetheroom.com to set up a time.